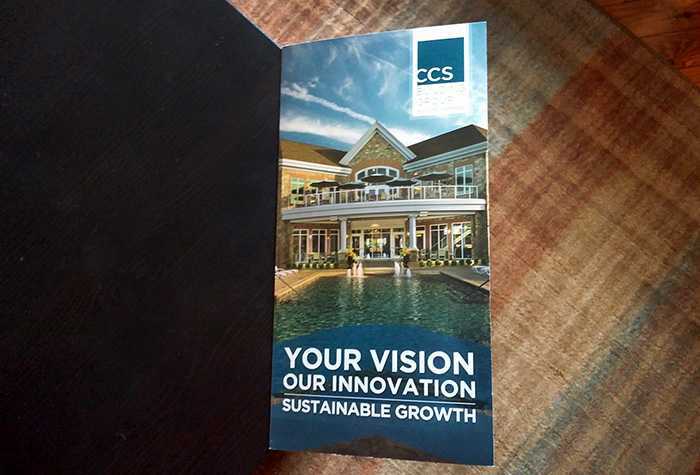 CCS Building Group Brochure | Portfolio | Sharp Innovations, Inc.
CCS Builds needed a hand-out brochure that could capture and communicate their innovative work in a limited area. 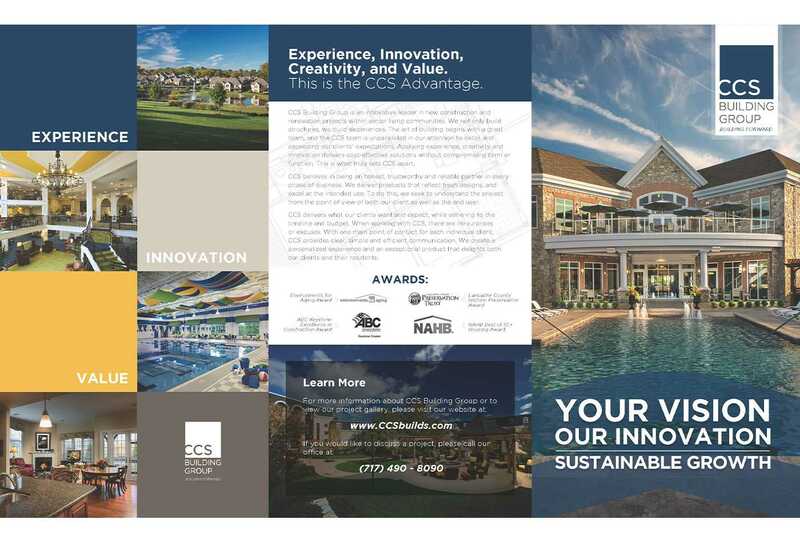 They also, as a reputable architectural firm, could not afford an amateur, run-of-the-mill piece of advertising that they’d be handing off to prospective clients. 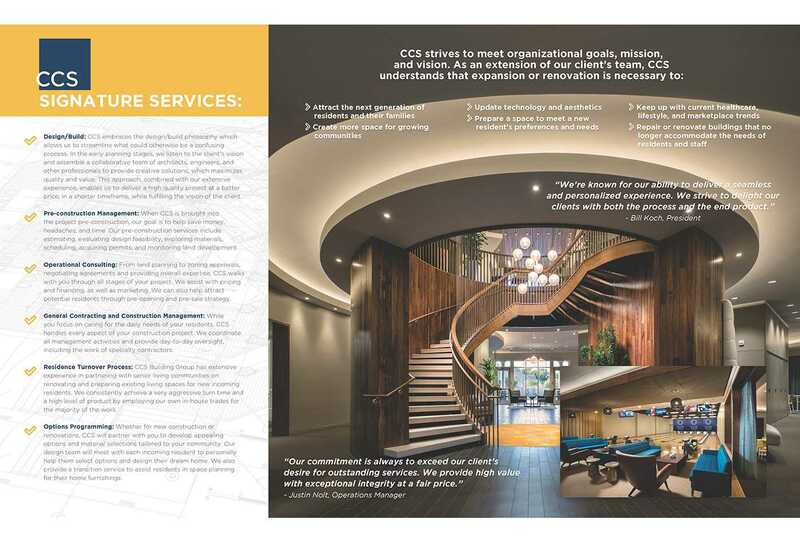 The Sharp design team delivered a completely original marketing brochure that spoke artistry, credibility and expertise to its future readers and viewers.